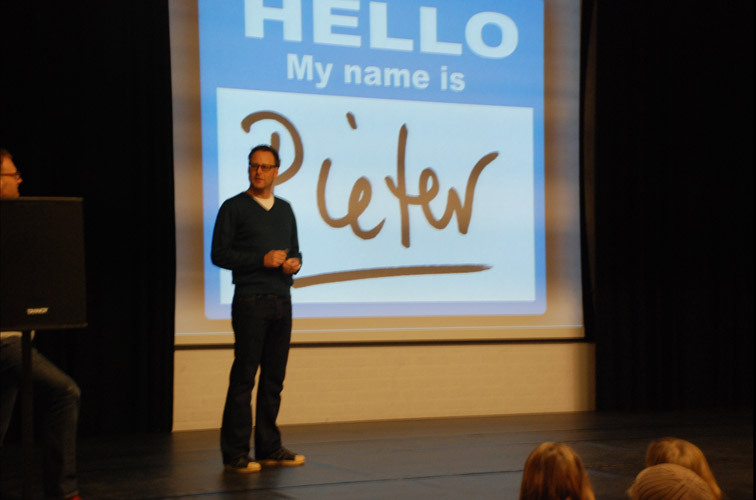 On January the 18th and 19th I gave a presentation of my work to the second year students design (around 100 all together) at Sint Lucas college in Boxtel, The Netherlands. After the presentation I gave a stencil type design workshop together with Diederik Corvers and Joop Neutkens (who was one of my teachers when I studied at Sint Lucas). Pictures of the workshop you will find here.